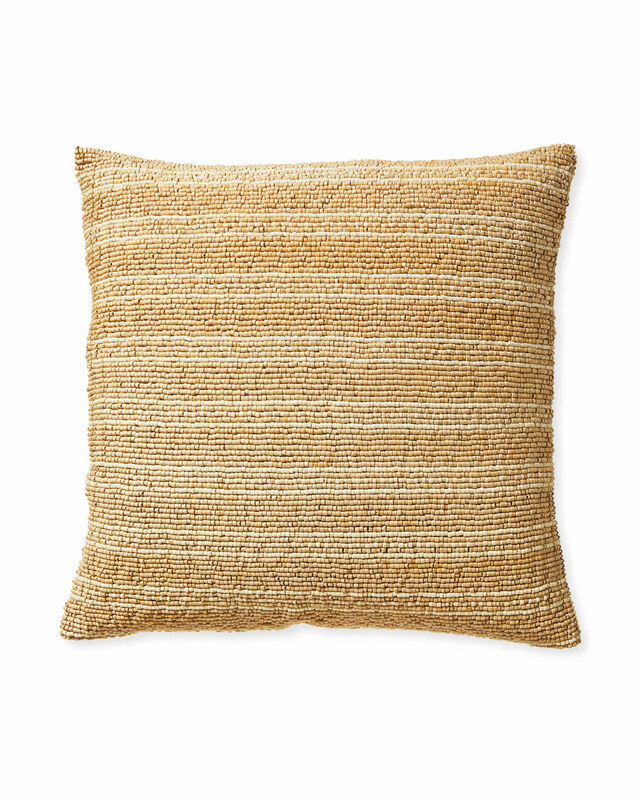 Bali Pillow CoverBali Pillow Cover, alt="Bali Pillow Cover, "
Print Natural elements and a refined stripe pattern make this beaded pillow a bold, textured neutral. 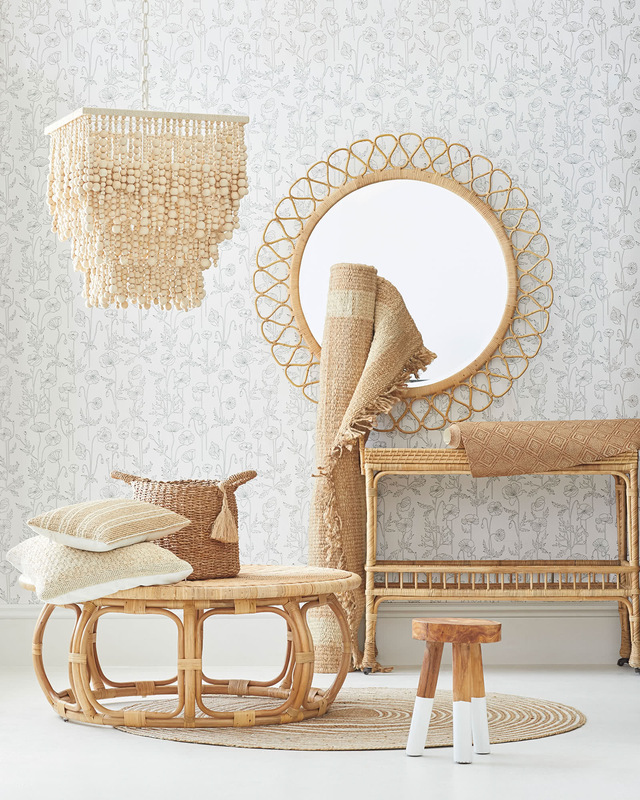 The intricately hand-strewn wood beads add a laid-back elegance, while its warm tones and beachy vibe bring some serious style. Layer it with light hues or a mix of blues for a more coastal feel. Beaded stripe design on front and a solid reverse. Front: Hand-applied coco beads on a 50% linen, 50% cotton ground. 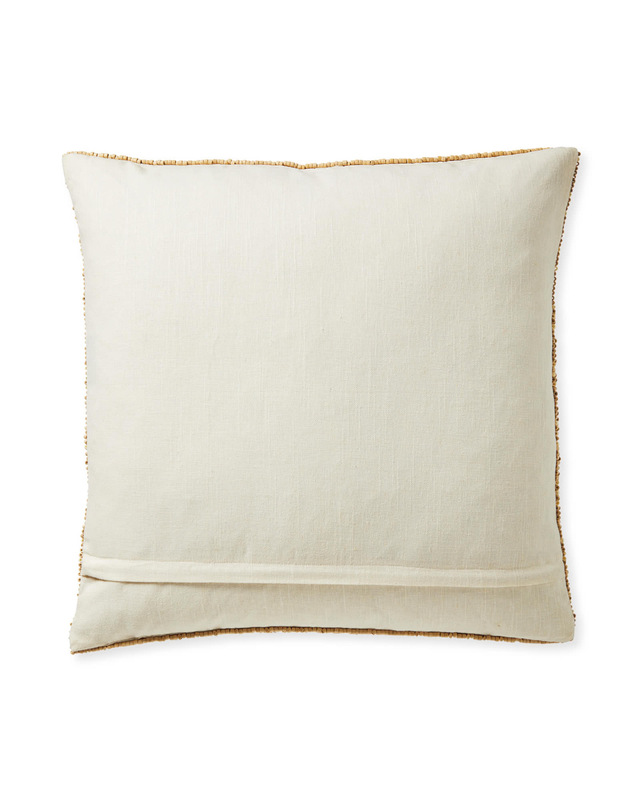 Back: Solid ground woven of 50% linen, 50% cotton in an ivory hue. Due to the beading, no two will look exactly alike.